Soybean belongs to the legume family, is a native of East Asia and has been an important source of protein in the eastern countries for thousands of years. Scientists and researchers concur that soy protein is complete. For many years we believed that complete proteins (with all essential amino acids) came only from egg and milk. Therefore, we pushed either egg or milk down everyone's throats saying that they are the only foods that give all the essential amino acids needed for the body and which the body cannot synthesise. Now, research shows that soy protein is as good as milk and egg protein. Epidemiological studies indicate that incidence of chronic diseases like coronary artery disease is much lower in the Japanese population because they consume more than 50 gm of soybean a day. There is increasing evidence that consuming soy protein regularly may help to lower cholesterol by binding bile acids. The isoflavones (antioxidants) present in soy is believed to reduce cancer cell activity unlike animal proteins, soy protein decreases calcium excretion from the body and therefore may help in controlling osteoporosis. Soybean is high in fiber and has a low glycemic index which helps in better control of blood sugar levels. 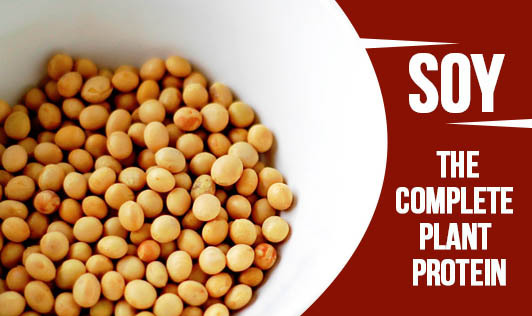 Soy has more fat and protein compared to other pulses like channa, urad and moong, and has fewer carbohydrates than these pulses. Soy contains a good amount of vitamins, minerals and fiber. Ingredients: 225 gm soybean soaked overnight, 100 gm moong sprouts, 1/2 bunch shredded spring onions, 1 tablespoon olive oil, 2 tbsp lemon juice, 1 clove garlic crushed, salt & pepper to taste. Soft drink fall-out: Women who drink more than one sweetened soft drink a day are slightly more likely to develop diabetes than women who drink less than one a month, according to a new study. But critics noted the same conclusion might be drawn from examining eating habits involving other forms of junk food too. Obesity is strongly linked to Type 2 diabetes - the most common form of diabetes - so the extra calories from soda account for at least some of the increased risk, said the Harvard university researchers who did the study. But the scientists said there also appears to be a link to the way the body handles the sugars in soft drinks - a claim two outside experts said needs more research.